Visiting a capital city for the first time can often feel overwhelming. Get a comprehensive overview of Lisbon, even in limited time, during a full-day tour that’s ideal for first-time visitors. You’ll receive personalized attention in a small group limited to 10 people and rely on the local knowledge of your guide to navigate the city without hassle in an air-conditioned coach. Pluss, convenient hotel pickup and drop-off are included so you won’t have to worry about finding a meeting point. Our tour guide Miguel was knowledgeable on all the sites we visited and answered every questions we had. He was also very accommodating and we did not feel rushed. 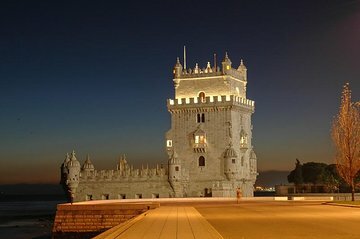 If you are short on time this is a must tour to see Lisbon. Thank for making our trip very fun and memorable. Again, Obrigado from the Martin Ladies in New York! Only had a little time in Lisbon and with this tour I felt like I could see so much! Very flexible and informative!